An angiogram is an invasive diagnostic test that uses x-rays to take pictures of your blood vessels. A long flexible catheter is inserted through the blood stream to deliver dye (contrast agent) into the arteries making them visible on the x-ray. This test can help diagnose a stroke, aneurysm, arteriovenous malformation, tumor, clots, and arterial stenosis. A computed tomography (CT) scan is a noninvasive diagnostic test that uses x-rays and a computer to create images of the body. It allows your doctor to view your spine or brain in slices, as if it were sliced layer-by-layer and a picture taken of each slice. This test can help diagnose tumors, hemorrhages, head injuries, and bone abnormalities. Discogram is an invasive diagnostic test that uses x-rays to examine the intervertebral discs of your spine. A special dye is injected into the injured disc or series of discs. The dye makes the disc visible on a fluoroscope monitor and x-ray film. 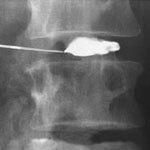 Discograms are used to locate precisely which discs are damaged and are causing back pain. 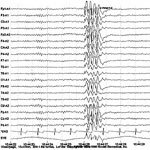 An electroencephalogram (EEG) is a noninvasive test that records electrical patterns in your brain. The test is used to help diagnose conditions such as seizures, epilepsy, head injuries, dizziness, headaches, brain tumors and sleeping problems. It can also be used to confirm brain death. EMG and NCS are tests that measure the electrical activity of the muscles and nerves of the body, usually to an arm or a leg. The tests can help identify nerve injury or muscle disease such as carpal tunnel syndrome, a pinched spinal nerve, peripheral neuropathy, myositis, or ALS. 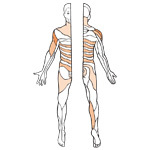 The presence or absence of injury can be helpful in determining further treatment. 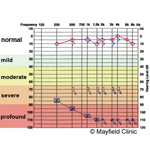 An audiometry evaluation is a painless, noninvasive hearing test that measures a person's ability to hear different sounds, pitches, or frequencies. Patients who have a tumor in or around the ear may undergo audiometry testing to determine whether hearing loss has occurred or to monitor their hearing before and after surgery. It is also used to evaluate whether hearing aids or surgery may improve one's hearing. 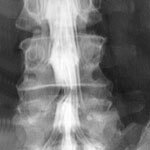 A myelogram is an invasive diagnostic test that uses x-rays to examine the spinal canal. 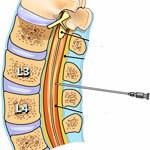 A special dye is injected into the spinal canal through a hollow needle. An x-ray fluoroscope then records the images formed by the dye. 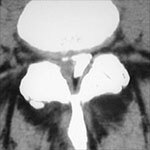 Myelograms can show conditions affecting the spinal cord and nerves within the spinal canal. MRI (magnetic resonance imaging) is a noninvasive diagnostic test that takes detailed images of the soft tissues of the body. Unlike X-rays or CT, images are created by using a magnetic field, radio waves, and a computer. It allows your doctor to view your spine or brain in slices, as if it were sliced layer-by-layer and a picture taken of each slice. This test can help diagnose tumors, strokes, and disc herniations. 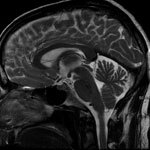 Functional MRI is a noninvasive test that measures small changes in blood flow as a person performs tasks while in the MRI scanner. It detects the brain in action (e.g., speaking or moving). Diffusion tensor imaging (DTI) detects the white matter fibers that connect different parts of the brain. 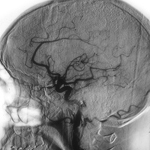 These imaging studies help to map specific brain areas before surgery. 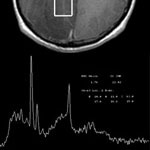 Magnetic Resonance (MR) spectroscopy is a noninvasive test for measuring biochemical changes in the brain, especially the presence of tumors. 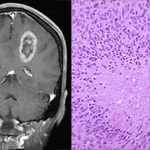 While MRI identifies the anatomical location of a tumor, MR spectroscopy compares the chemical composition of normal brain tissue with abnormal tumor tissue. This test can also be used to detect tissue changes in stroke and epilepsy. 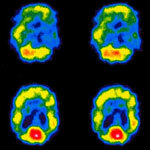 A positron emission tomography (PET) scan is an imaging test that shows the metabolic activity (energy usage) of your brain. 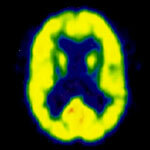 A PET scan can give your doctor information about how your brain is working. It may be used to detect cancer, seizures, or Alzheimer's. A single photon emission computed tomography (SPECT) scan is an imaging test that shows how blood flows to tissues and organs. It may be used to help diagnose seizures, stroke, stress fractures, infections, and tumors in the spine. A visual field acuity test determines how well a person can see. 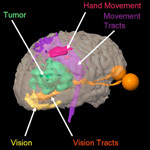 The test maps central vision as well as peripheral (side) vision. 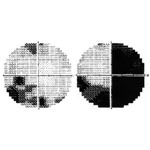 The test is performed by an ophthalmologist and is used to detect areas of vision loss (blind spots) caused by a brain tumor, stroke, glaucoma, diabetes, hypertension, or head trauma. An X-ray is a diagnostic test that uses radiation waves, called x-rays, to take pictures of your body tissues. It is used to detect bone fractures, arthritis, scoliosis, tumors, osteoporosis, fluid in the lungs, and infection. 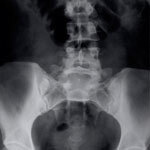 In the spine, flexion and extension x-rays can help detect alignment of the bones.